A lot of things have changed since the light bulb was invented. If anything, continued innovation has created more options than ever for consumers to illuminate their spaces. In this article, we cover what you need to know about LED bulbs, from their wide-ranging benefits to how they stack up to other bulb types. By the end, we think you’ll agree that, when it comes to lighting at least, change isn’t a bad thing at all. In a world where eco-conscious thinking and action are becoming more frequently commonplace, both lighting brands and consumers are turning to newer and more efficient light bulb designs like the LED light bulb. While LED technology has been around since the 1960s, the capability of these incredible devices has surpassed what seemed imaginable. Early on, LEDs could only produce a dim red light that was best used for small electronic devised like remote controls and calculators. Today, LED bulbs can produce a host of colors in a range of temperatures. Now let’s have a look at how these modern marvels work. 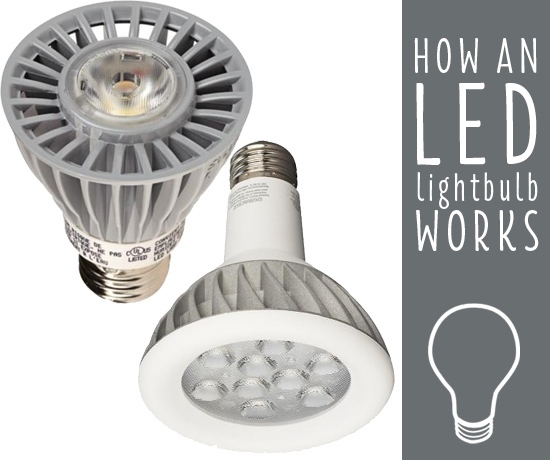 How Do LED Bulbs Produce Light? An incandescent light bulb works by passing electricity through a small wire, or filament. The electrical resistance of the filament causes it to get so hot that it glows, producing light. In contrast, LEDs don’t have a filament that burns out. Instead, an LED (which stands for light emitting diode) works by passing current through a semiconducting material—the diode—which then emits photons (light) through the principle of electroluminescence. Don’t let that big word scare you! It essentially means that a material (in this case, the diode) casts light when power is applied to it. Electrons jump from one side (an electron-full side) to another (an electron-deficient side) across a junction (the “p-n junction”). Think of it this way: When power is applied to the p-n junction, the side lacking in electrons wants to be filled up with the charged electrons from the other side, and when power is applied the electrons get eager to move. During this process, light is created. As an added bonus, the fact that this design does not rely on heat to produce its light means it runs cooler and is much more energy-efficient than an incandescent light bulb. Long-lasting: Last up to 50,000 hours while incandescent bulbs burn out after 1,000 to 2,000 hours and CFLs after around 15,000. More energy-efficient: LED bulbs don’t lose nearly as much energy to heat as incandescent bulbs, so you get the same light with less wattage. 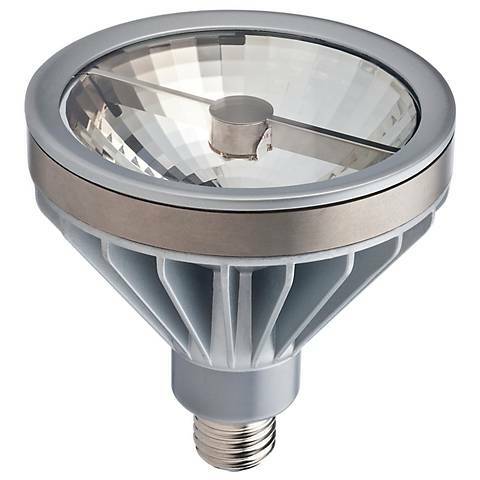 Safety: LEDs do not contain mercury like other bulbs such as CFLs or fluorescent lamps. Dimmable: These bulbs can be adjusted with LED-rated dimmers to enhance the lighting in your space. Slow Failure: While many bulbs burn out in a flash, LEDs slowly fade, giving you extra time to find a new bulb. All in all, LED bulbs are some of the most efficient lighting solutions available today and these designs are only growing more versatile and affordable. Call 800-782-1967 to speak with one of our friendly, professional Lighting & Home Decor Consultants or visit a Lamps Plus location near you. Whether via phone or in person, we’re happy to assist you in choosing the right light bulb. To identify a type of bulb, use the visual guide on our Light Bulb Identifier and Finder Guide.